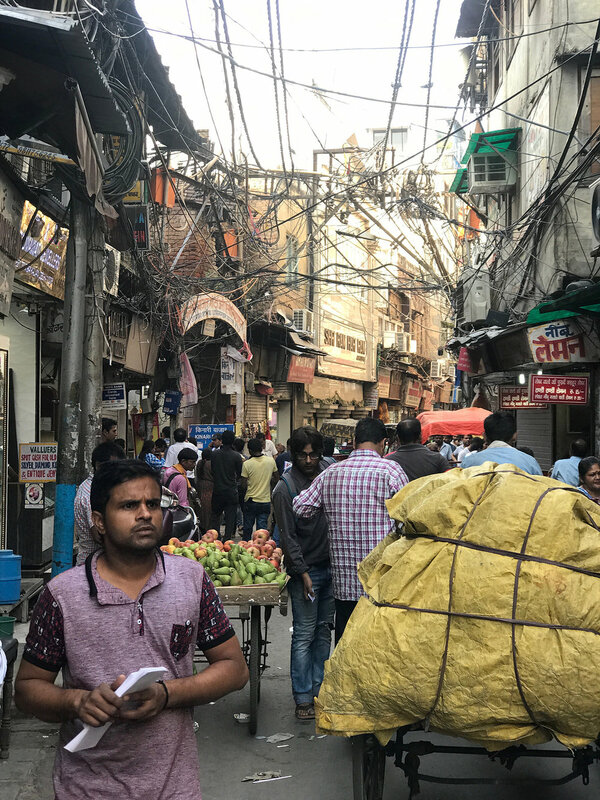 Old Delhi is the symbolic heart of metropolitan Delhi, so let's get lost. 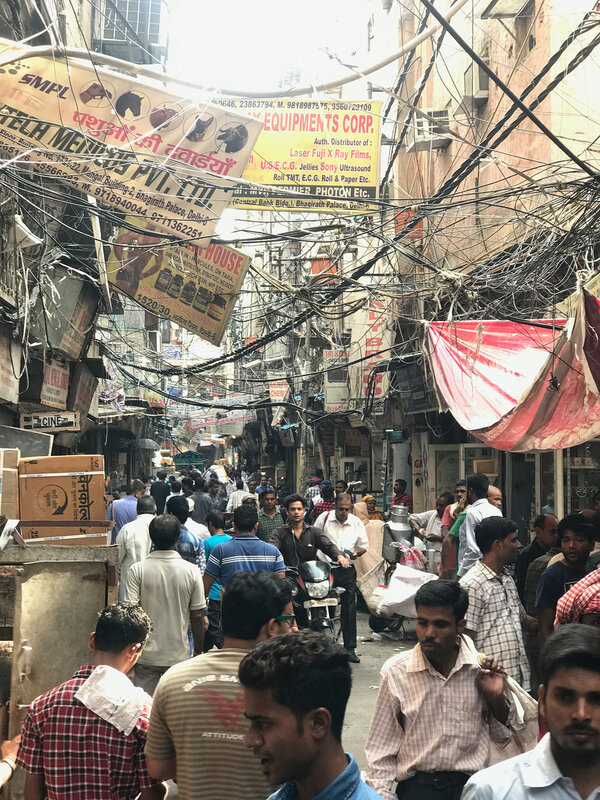 The buzzing streets are crowded with people, bordered with little shops on each side and rickshaws are plugging the roads. shopkeepers insisting you to buy all kind of products you can imagine, from the hottest chillies and all kind of eatables to water pipes, diamonds, medicine and every imaginable (electronic) device... The list is endless. Vsiting Old Dehli was quite a challenge for our senses. So many different odors, smelly and fragrant. 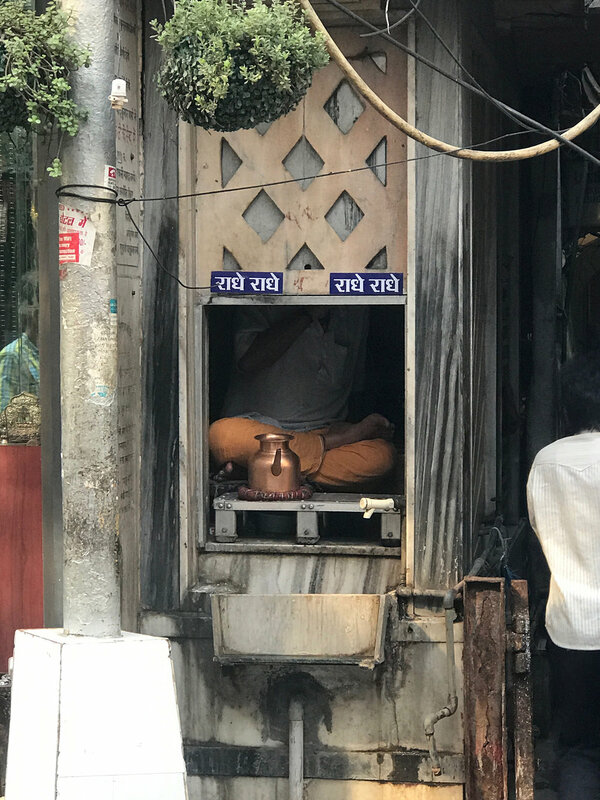 A second pair of eyes would be very helpful to soak up everything without stepping on a dog, vendor or into a trench or crash into a Tuktuk. This trip was rewarding and exhausting at the same time! Two wonderful weeks in Delhi are already over. Especially thanks to Rajat Sodhi, our host and owner of the magnificent house we stayed at. We had a great time and found a friend. Thank you very much for everything!